Passionate individuals from around the globe in a variety of fields are working to define new trajectories for their communities. Their important work offers them the chance to meet face-to-face with counterparts across the United States. 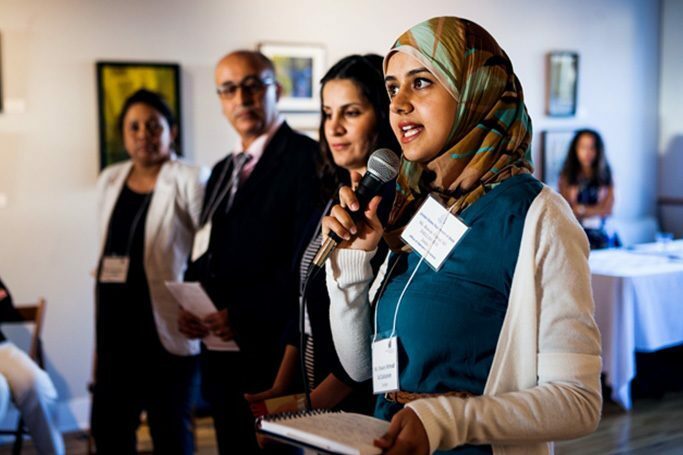 Global Minnesota is proud to be a leading organization of professional exchange opportunities that bring men and women from diverse locales to Minnesota to share ideas and best practices with community members in hopes of effecting real change. Working with local experts across disciplines, we produce a broad spectrum of engaging and informative meetings, workshops, volunteer activities, and site visits to ensure each exchange program has a meaningful impact. And whether it’s regional trade issues, countering gender-based violence, or election reform and journalism, the program topic explored is as diverse as the participants themselves, who find their way to Minnesota through a variety of paths. We host more than 400 exchange visitors annually through the U.S. Department of State’s International Visitor Leadership Program (IVLP). IVLP participants travel to the United States for short-term exchange programs designed to build understanding between professionals from abroad and local communities. As a member of Global Ties U.S., a national nonprofit partner of the U.S. Department of State, Global Minnesota serves as the state’s premier coordinator of the IVLP and is one of the top member-based organizations to host participants. We partner with public and private institutions to create custom professional exchange opportunities that bring individuals from different parts of the world together to examine global challenges. We have designed short-term exchange programs for the Young Southeast Asian Leadership Initiative, the U.S. Embassy in Norway, and the Foreign Service Institute, among others. Contact Laurel Stoneking, Professional Exchanges Manager, to learn how Minnesota’s professional networks can be part of the global exchange experience. Meet leading individuals from around the world who are driving global change while learning from Minnesotans on a local level. 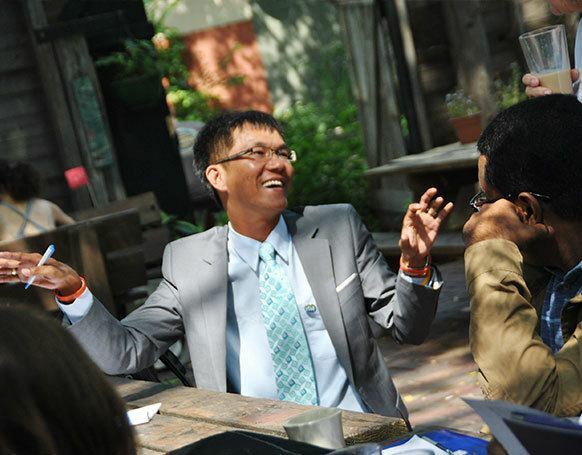 International exchange participants are eager to connect with community members professionally and socially – including you!